I wanted to talk a little bit today about the DYMO SDKs and compatibility with Windows 8. I’ll start with a quick answer: DYMO SDKs only work with Windows 8 desktop style applications. They do not work with Metro/Modern/RT style applications. Let’s dig a little deeper into why our SDKs do not work in Metro style applications and I will also describe a workaround for printing DYMO labels within a Metro application. All of our SDKs use core DYMO assemblies that are installed with DYMO Label Software (DLS). 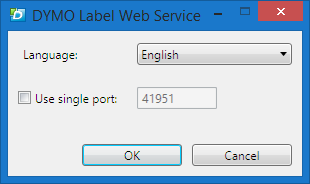 For our older DYMO Label SDK, you add a reference to the DYMO COM objects directly in your application. For our “native” .NET DYMO Label Framework, we’ve created a wrapper assembly that calls our core DYMO assemblies through COM. Either way, COM is a necessary component for our SDKs to work. Windows 8 Metro/Modern style applications operate under a different set of rules than desktop applications. One important rule being Metro applications are not allowed to access the registry. What does this mean for the DYMO SDKs? As discussed earlier, all Windows DYMO SDKs require COM to function and without registry access the loading of a COM object will fail. This means that, unfortunately, printing a label using the DYMO SDKs in a Metro application is not possible at this time. There is a workaround which requires a bit of work, but I will describe the basic process to get you started. After installing DLS, any time a new DYMO printer is connected to your machine it registers as a standard Windows printer. This means that you can print to your DYMO printer from any application just like you would any other printer. For instance, you could type some text in a Microsoft Word document and print it to your DYMO printer. They key to getting it to print correctly on your label is to make sure the document size you are using in Word matches the label type you have in your DYMO printer. Following the principles described above, you could create a printable document in your application, place anything you want on this document (text, images, etc. ), and print this document to your DYMO printer. The creation of the document and anything on the document is entirely your application’s responsibility since you would not be using our SDKs. What your printable document is depends on what environment you are working in. One example would be an XPS document if writing a .NET WPF application. A great example for creating and printing a document within a Metro application can be found on Diederik Krols blog. Following Diederik’s tutorial and making sure that your document size matches your label size, printing to a DYMO printer from within a Metro application should be fairly straightforward, albeit not as easy as using a native SDK. Over the past several months, we have received many questions regarding DYMO SDKs and Windows 8 support. We have taken note of this and are currently researching ways to improve our SDKs and provide support for as many platforms as possible. For the time being, we hope that the workaround described above will provide those of you writing Metro applications with a viable method of integrating DYMO printers into your applications. Suppose you are a developer and you are integrating a DYMO LabelWriter or LabelManager printer into your application by using DYMO Label Framework or older DYMO Label SDK API. Usually the integration is quite simple and "just works", and you can print a first label in a matter of minutes. Sometimes however, something might went wrong and don’t have the expected result. Or everything is fine on your machine, but the application does not work on the customer’s machine. What to do? Here are some tips could help in troubleshooting and investigating the problem. In most common usage scenarios, the DYMO Label software is required to be installed on the same machine where your application is running (for more information, see this and this). Usually we recommend to install the latest available version, unless there are knowing problems with a particular release. The latest version is available from DYMO site, here is the link. 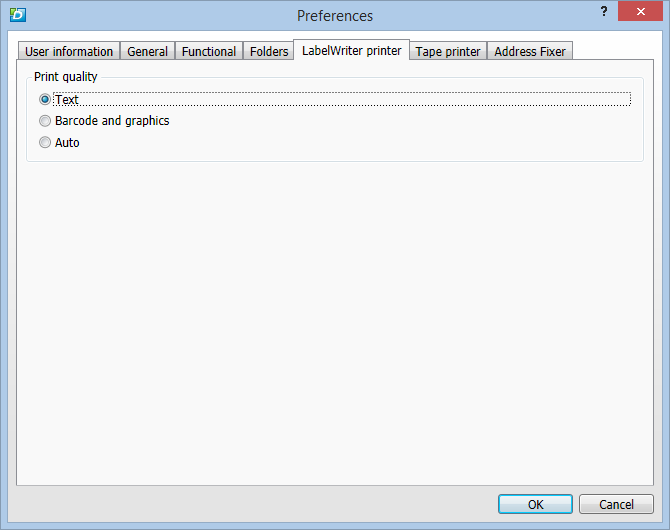 Try printing a label from the DYMO Label software. DYMO Label software and the SDK libraries share a lot of underling code, so, if you can’t print by using the SDK, there is a big chance there will be problems with the DYMO Label as well. So, if you can’t print from DYMO Label or there are other problems running it, then contact DYMO tech support. Usually you will be asked to provide installation/configuration information, this can be obtaining by running LWSupport utility from the “[Program Files]DYMODYMO Label SoftwareSupport” folder. 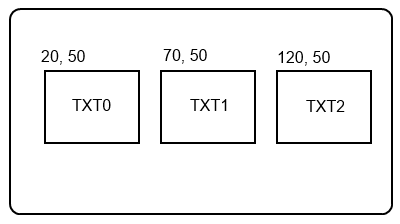 DYMO libraries can generate log/trace information is not visible to end-user. To grab it use DebugView on Windows and standard Console application on Mac. On Windows: start DebugView, start your application, print a label, collect all messages displayed in DebugView. On Mac: open Console application, clear current messages, start your application, print a label, collect all messages displayed. Send all the collected messages to the e-mail address below. If you have any questions regarding the SDK, e-mail us at [sdkreply at newellco com]. Please note, this is SDK-only support e-mail. For questions regarding DYMO Label software itself, please contact DYMO tech support.